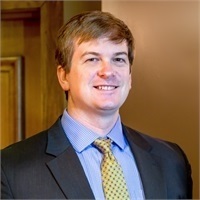 Ben Greene | Vision Financial Group, Inc.
Ben graduated from the University of Montevallo in 2002. In August of 2004, Ben joined Vision Financial Group as Director of Planning. In his current position of Vice President, Planning & Wealth Management for Vision Financial Group, Ben meets daily with each of the advisors in the office to discuss, plan, and prepare all casework and paperwork necessary for client meetings. He also is responsible for investment and product research, as well as technology, software and website service for the office. On a day to day basis, Ben will also handle client communication and correspondence, including appointment scheduling and securities trading. Ben and his wife Melody have been married since August of 2002. They currently reside in Chelsea with their daughters Jackson & Jane. They are active members of Briarwood Presbyterian Church. Ben’s hobbies include cars, athletics, and most anything outdoors. Please be advised that Ben Greene is a CERTIFIED FINANCIAL PLANNER™ professional. He also holds a series 6, 7, 63, and 65 securities licenses and is registered in the states of AL.. For residents of other states, proper licenses and registrations must be obtained by Mr. Greene before proceeding further.